Pet World is a locally owned, full line pet store. Established in the 1970s, current ownership has been in place since 1988. Pet World has been a long standing, favorite family place in Lawrence, Kansas and recognized with awards for outstanding community service. The only pet store in Lawrence to receive “Best of Lawrence” recognition from the Lawrence Journal World (year after year), Pet World has worked hard to set the industry standard for all pet stores. Even the state of Kansas uses Pet World as a training site for new Animal Health Inspectors! We guarantee your Pet World experience will be unlike any pet store experience you’ve ever had! 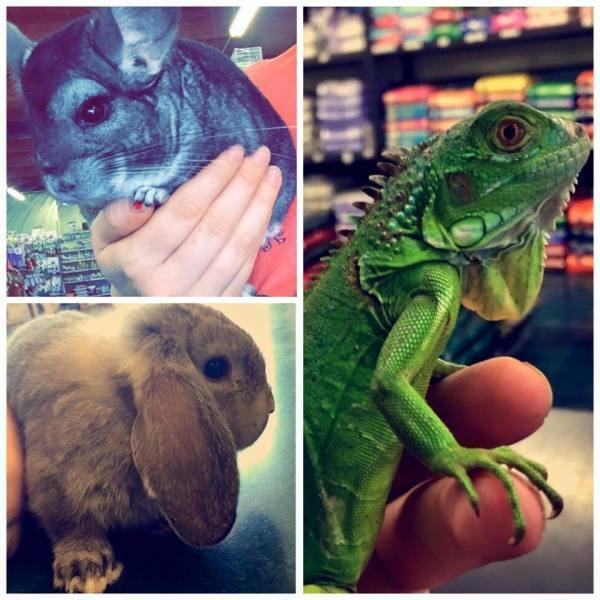 We carry birds, small mammals, reptiles, amphibians, arachnids, salt and fresh water fish, plus everything you need for any kind of pet you own. With rescue animals, educational programs, hands on access to animals, and passionate employees, Pet World in Lawrence is truly unique. Please come visit Pet World and see for yourself everything a pet store can be!